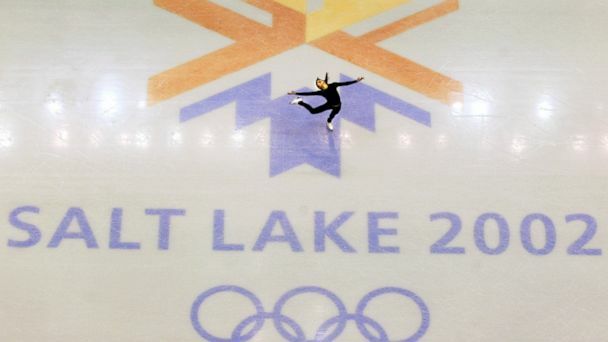 Follow the latest Olympics news, videos, and analysis from ABC News. 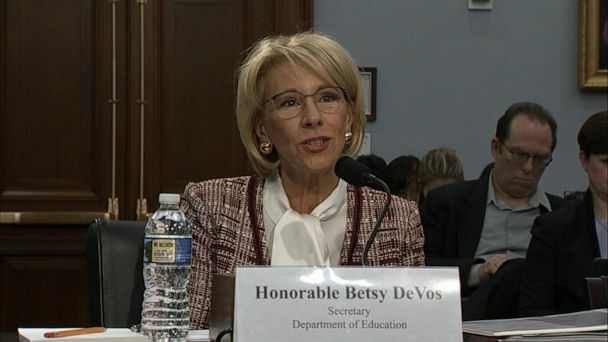 Education Secretary Betsy DeVos is expected to face more questioning on Capitol Hill about the Trump administration's proposal to cut $17.6 million earmarked for the Special Olympics. 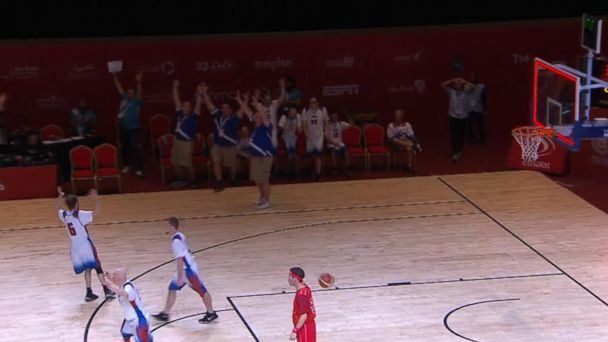 USA athlete Matthew Millett discusses his 3/4 court buzzer shot. 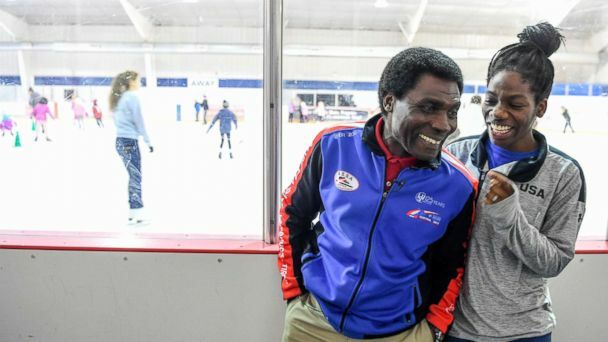 Olympic speedskater Maame Biney on the sacrifices her Ghanaian father made so she could pursue her dreams in the states. 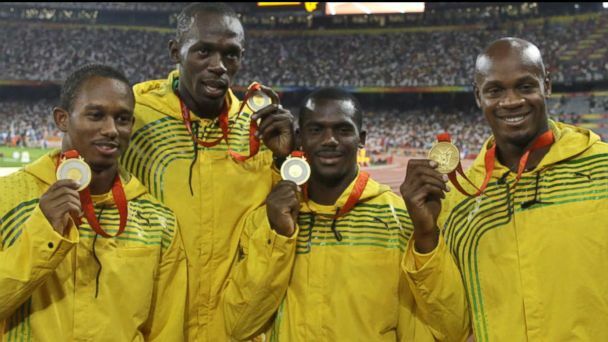 The judging panel on Thursday also dismissed Jamaican sprinter Nesta Carter's appeal against disqualification from the 2008 Beijing Olympics for a positive doping test discovered eight years later. 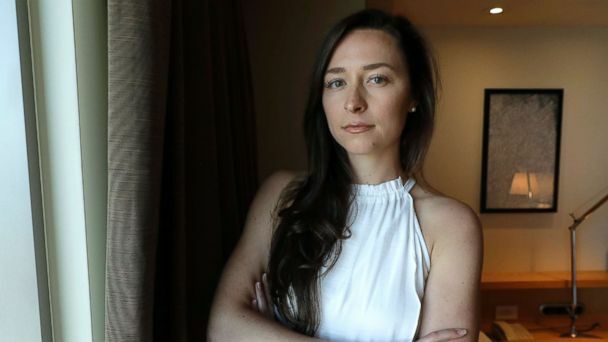 Tim Hinchey testified in front of a House Energy and Commerce Subcommittee to address a former Olympian's claims of sexual abuse by her coach. 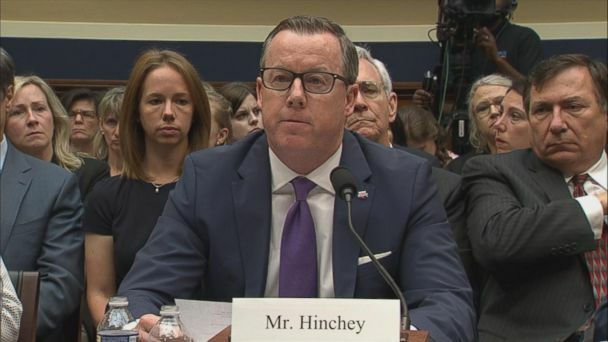 In his prepared testimony, president and CEO of USA Swimming, Tim Hinchey, admitted his sport has been a big part of the problem since even before the gymnastics scandal. 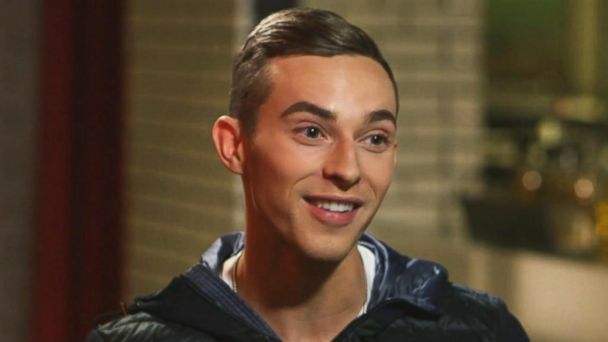 Olympic skater and "America’s sweetheart" Adam Rippon on becoming a voice for the LGBTQ community. 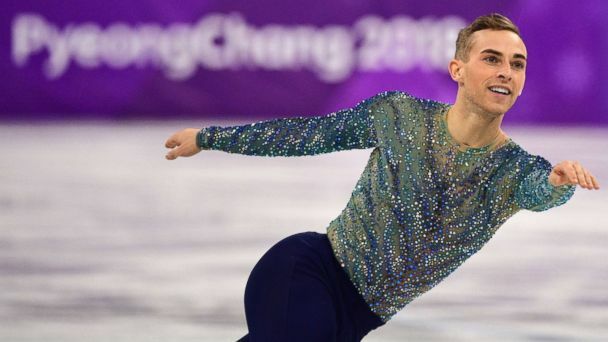 Olympic skater told "Nightline" special correspondent Gus Kenworthy that he decided to say it once at a press conference and "see what happens." The Olympic skater talked "Nightline" special correspondent Gus Kenworthy about why they chose not to attend the White House with Team USA. Students from over 16,000 schools voted on the mascot for the 2020 games. South Korean officials blame Russia for thousands of cyberattacks in a false-flag operation that nearly crippled the opening ceremonies, making it look like North Korea was behind it. ABC News' Matt Gutman the highlighted stories of the Olympics. Active Green Beret Nate Weber and his team vying for gold in bobsledding. Also a one-on-one with skiing star Lindsey Vonn who talks about plans for her future. Paralympian Bonnie Saint John and author of the book "Micro-Resilience," shares tips on how to be mentally tough for life's challenges. The men's curling team won the gold medal for the first ever at the Olympics. Japanese students had to select from three pairs of mascots. Ryan Nelson captured his son with a case of Olympics fever. Two directors at USA Swimming have resigned this week amid allegations of widespread sexual abuse of underage swimmers by their coaches and other officials. Curling seems simple, but it actually takes a good deal of skill and athleticism. Bobsledders and snowboarders are the most right-swiped athletes on Tinder. Team USA defeated Canada in a shootout, 3-2, while freestyle skier David Wise defended gold in the halfpipe and Mikaela Shiffrin won silver in the super combined. Monique Lameroux-Morando and Jocelyne Lameroux-Davidson talk to ABC News' Amy Robach about the secret to their success on the ice. Alex and Maia Shibutani earned their second bronze medal in Pyeongchang. These athletes made history at the Winter Olympic Games in Pyeongchang, South Korea. The USA won in a nail-biting shootout -- 20 years after they last won gold in 1998 when women's hockey made its debut as an Olympic sport. Jamie Anderson became the first woman with two snowboarding medals at one games. Two U.S. women, including the only mother on Team USA, won the women's team sprint cross-country event to make history. After winning a silver medal in the men's luge in Pyeongchang, Chris Mazder tells "GMA" that staying calm while speeding out of control is the hardest part of the sport. Maia and Alex Shibutani won bronze, becoming the first brother-sister duo in history to medal in Olympic ice dancing, and freestyle skier Brita Sigourney won her first Olympic bronze in halfpipe. A Slovenian hockey player has been expelled from the Olympic Games after allegedly testing positive for a banned substance. 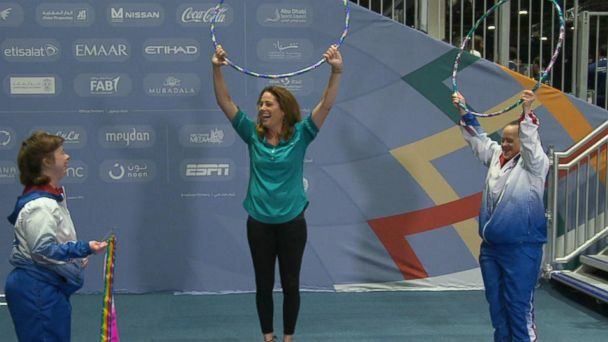 U.S. figure skater Nathan Chen told ABC News' Amy Robach that he "had nothing to lose" by attempting six quads in his routine. A South Korean ice dancing duo received loud applause honoring the host country. The crowd-pleasing team of Nathan Chen, Vincent Chou and Adam Rippon have stolen the show in Pyeongchang with their history-making performances.